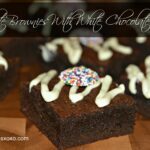 In my house we loved boxed brownies! 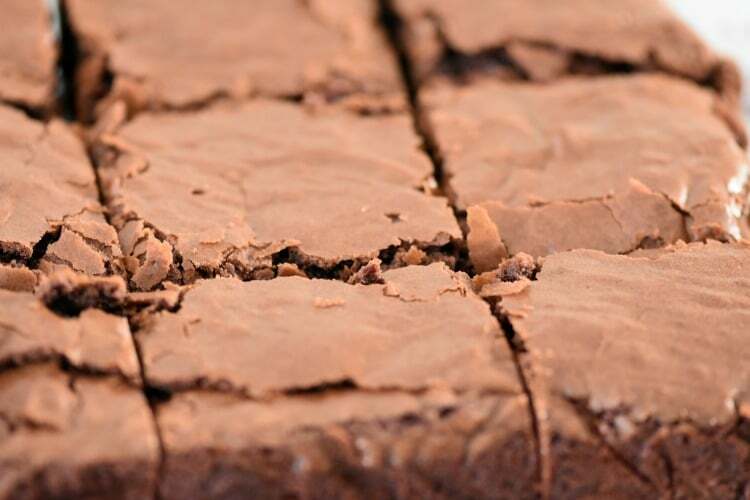 Betty Crocker happens to be one of our favorites. 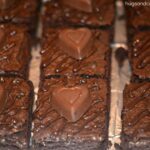 This recipe for fudgy brownies is even more delicious yet has many qualities of a box mix that people love. 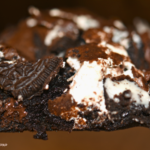 Fudgy center? Check! Flaky top layer? Check! Delicious flavor? Check! 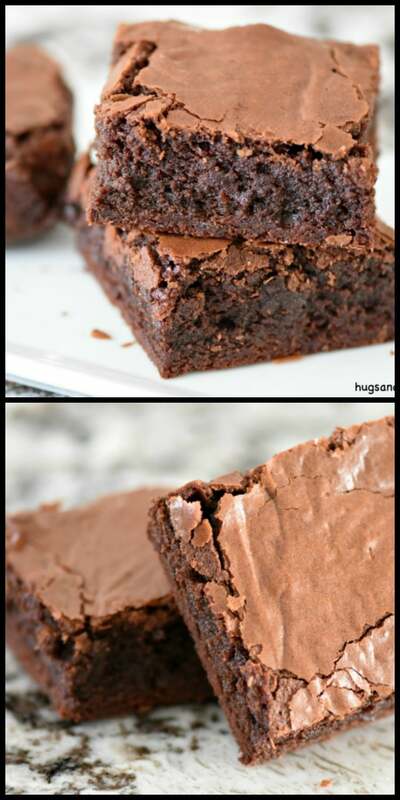 These also come out great in a 9x13 pan (check closer to 20 mins for baking time) for a thinner brownie. 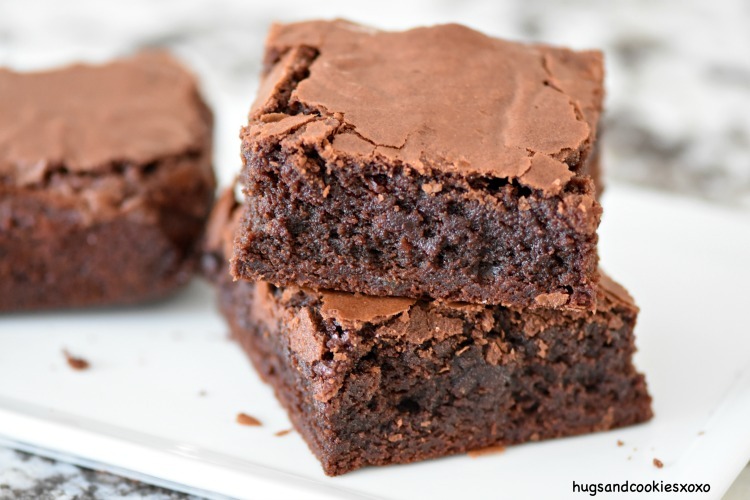 If you like a thicker brownie, go for the 9x9 pan. I always line my pans with nonstick foil for easy removal! Preheat oven to 350º. Put a long piece of non-stick foil in the bottom of a 9 x 9 inch pan, fitting so it covers the bottom of pan, the two shorter sides, plus has some overhang on each side for easy removal. In a large microwave safe bowl, melt the 1 cup butter in the microwave. Stir in sugar, then eggs and vanilla. Stir in flour and mix till just combined. Oh yummy and it looks as though it’s easy to make. 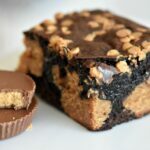 I will make them this weekend! 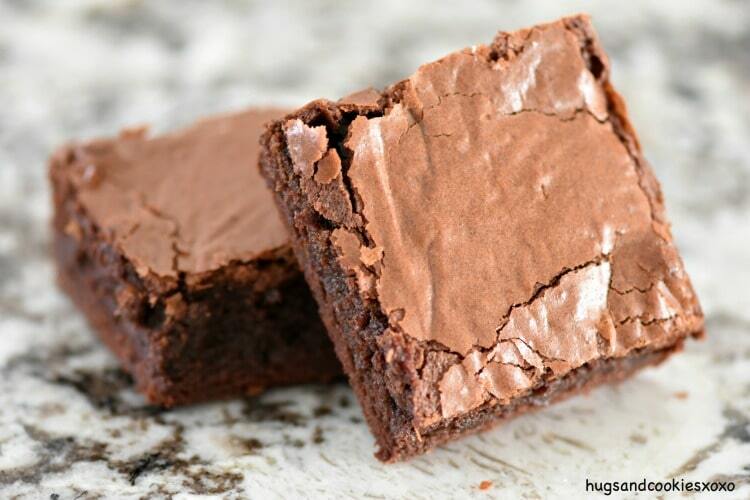 Oh and we love Betty Crocker brownie mixes also but it’s nice to have a few recipes for homemade.